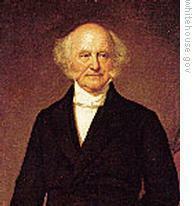 Martin Van Buren was sworn-in as the eighth president of the United States in eighteen thirty-seven. Not long after he took office, the United States suffered an economic depression. Many state banks had printed more money than they could guarantee with gold or silver. As more paper money came into use, the value fell. Prices rose sharply. Some people could not buy food or other necessities. In a short time, the demand on banks to exchange paper money for gold and silver grew too heavy. The banks halted such exchanges. They said the situation was only temporary. But the crisis continued. This week in our series, Harry Monroe and Tony Riggs talk about the economic situation. And they discuss foreign affairs during the Van Buren presidency. Many of the weaker state banks closed after gold and silver payments were suspended. Those that stayed open had almost no money to lend. Businessmen could not pay back money they owed the banks. And they could not get loans to keep their businesses open. Many factories closed. Great numbers of people were out of work. The federal government itself lost nine million dollars because of bank failures. Businessmen said the government was to blame for the economic depression. They said the biggest reason was an order made by former president Andrew Jackson. Jackson had said the government would not accept paper money as payment for the purchase of government land. It would accept only gold or silver. Opponents of the order said it had caused fear and mistrust. Even some of Jackson's strongest supporters said the order should be lifted. They said it had done its job of ending land speculation. Now, they said, it was hurting the economy. Two of President Van Buren's closest advisers urged him to continue the order. Lifting it, they argued, would flood the federal government with paper money of questionable value. Van Buren was troubled about the government's money. He wanted to make sure the government had enough money. And he wanted this money safe until needed. At the same time, Van Buren did not believe the federal government had the responsibility for ending the depression. And he did not believe the government had the right to interfere in any way with private business. So Van Buren decided to continue the order. No government land could be bought with paper money. The economy got worse. The president called a special meeting of Congress. In his message to Congress, Van Buren said "over-banking and over-trading" had caused the depression. He proposed several steps to protect the government. Van Buren asked Congress to postpone payment of surplus federal government money to the states. He said the money would be needed to operate the federal government in the coming year. He also asked Congress to pass a law permitting the government to keep its own money in the Treasury, instead of putting it in private banks. This was the so-called "independent Treasury" bill. 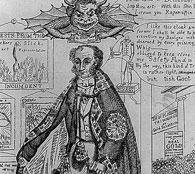 The opposition Whig Party denounced the president's proposals. It criticized Van Buren for thinking only of protecting the federal government -- and not helping businessmen, farmers and the states. Whig opposition was not strong enough to defeat all the president's proposals. Congress approved a bill to postpone payment of surplus federal government money to the states. But the Whigs -- together with conservative Democrats -- rejected the proposal for an independent Treasury. America's Treasury Department received money when it collected import taxes and sold land. It used this money to pay what the government owed. The Treasury did not, however, hold the money from the time it was collected to the time it was paid out. The Treasury put the money in private banks. President Van Buren wanted to end this situation. He wanted a law to permit the Treasury to keep government money in its own secure places. The Whigs argued that such a law would give presidents too much power over the economy. Some Democrats who believed strongly in states' rights also opposed it. Between them, they had enough votes in Congress to defeat the proposal. President Van Buren tried again the following year to get approval for an independent Treasury. Again, the proposal was defeated. Finally, in June, eighteen-forty, Congress passed a law permitting the Treasury Department to hold government money itself. Van Buren signed the bill. The economic depression of eighteen thirty-seven lasted for six years. It was the major problem -- but not the only problem -- during Van Buren's one term as president. In foreign affairs, one of the chief problems Van Buren faced was a dispute with Britain about Canada. Canadian rebels had tried two times to end British rule of Canada. They failed both times. Rebel leaders were forced to flee to safety in the United States. There they found it easy to get men and supplies to help them continue their struggle. A drawing of the American ship Caroline, seized by Canadian soldiers. They set fire to it and pushed it over Niagara Falls. The rebels built a base on a Canadian island in the Niagara River which formed part of the border between the two countries. They used an American boat to carry supplies from the American side to their base. 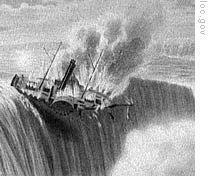 In December eighteen thirty-seven, Canadian soldiers crossed the Niagara River and seized the boat. One American was killed in the fight. For a while, Canadian forces and Canadian rebels exchanged attacks on river boats. A number of American citizens fought with the rebels. President Van Buren was troubled. He declared that the wish to help others become independent was a natural feeling among Americans. But, he said no American had a right to invade a friendly country. He warned that citizens who fought against the Canadian government, and were captured, could expect no help from the United States. Another problem between the United States and Canada at that time concerned the border along the state of Maine. That part of the border had been in dispute ever since seventeen eighty-three when Britain recognized the independence of the American states. Years later, the king of the Netherlands agreed to decide the dispute. The king said it was impossible to decide the border from words of the peace treaty between Britain and the United States. So he offered what he believed was a fair settlement instead: The United States would get about two times as much of the disputed area as Canada. Britain accepted the proposal by the king of the Netherlands. The United States did not. The United States refused, because the state of Maine would not accept it. In eighteen thirty-eight, Britain withdrew its acceptance of the proposal. And Canadians entered the disputed area. The governor of Maine sent state forces to the area. The soldiers drove out the Canadians and built forts. Canada, too, began to prepare for war. 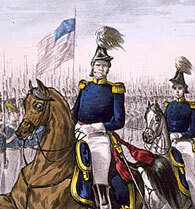 President Van Buren sent General Winfield Scott to Maine. Scott was able to get the governor to withdraw his forces from the disputed area. He also received guarantees that Canadian forces would not enter the area. The danger of war passed. Americans in the border area, however, were angry with President Van Buren. They believed Van Buren was weak, because he did not want war. Not only in the Northeast was the president losing support. People all over the country were suffering because of the economic depression. Most people believed Van Buren was responsible for their troubles, because he did not end the depression. The economy had fallen apart because of the hard money policies of former President Andrew Jackson, and the opposition to those policies by businessmen and bankers. And Van Buren did nothing to change those policies. Van Buren had been a good political adviser to President Jackson. But he had not been a strong president. He was unable to make the people understand his policies. The opposition Whig Party was happy over these developments. It saw an excellent chance to win the next presidential election. The issues in American politics before the election of eighteen forty will be our story in the next program of THE MAKING OF A NATION. Our program was written by Frank Beardsley. The narrators were Harry Monroe and Tony Riggs. 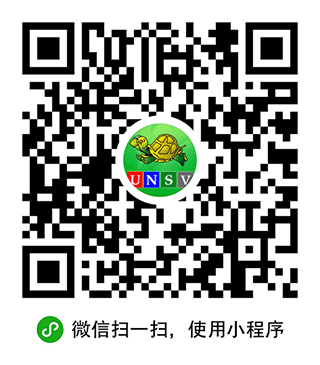 Transcripts, MP3s and podcasts of our programs can be found, along with historical images, at www.unsv.com. Join us again next week for THE MAKING OF A NATION - an American history series in VOA Special English.